Do companies offer quota relief for pre-scheduled vacations? For example, monthly quota is reduced by 25% for a one-week vacation. Our findings indicate a resounding NO. Whether or not relief is offered seems to hinge largely on four variables: rep role, sales calendar cadence, company revenues, and company type. 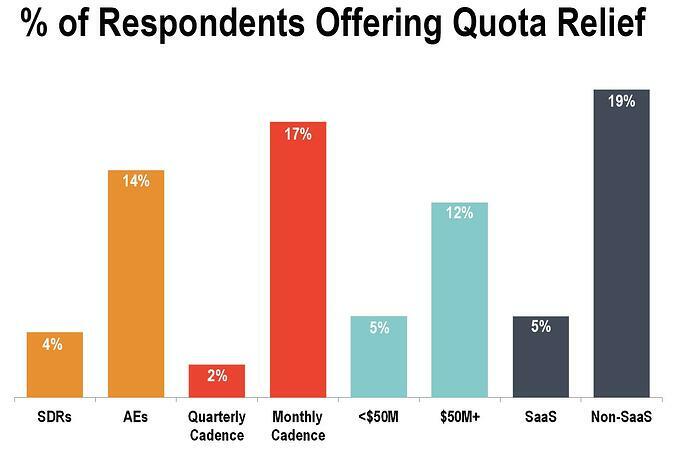 Part 1 of the ebook breaks down the survey findings and analyzes how companies handle PTO with their sales teams. Part 2 shares strategies and perspectives for blanacing making the number while also treating your people right. You can download your copy of the ebook below. I hope you'll share what your thinking/seeing/doing in the comments. This is an important topic and one that's too often overlooked.